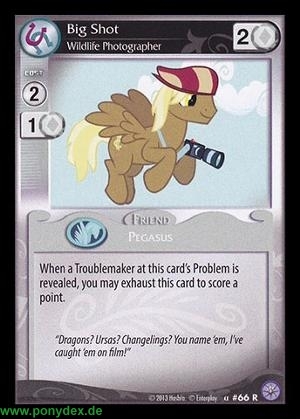 When a Troublemaker at this card's Problem is revealed, you may exhaust this card to score a point. "Dragons? Ursas? Changelings? You name 'em, I've caught 'em on film!"